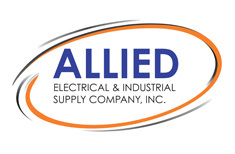 Allied Electrical & Industrial Supply Company, INC.
After 18 successful years in corporate America, I started Allied Electrical & Industrial Supply Company, Inc. in 1994. From the beginning, I have focused on three areas to create outstanding performance. Our customers include corporate buyers, facilities managers, developers, general contractors, subcontractors and government procurement specialists. Getting your order to the Right Place, On-Time is an important part of the ValuePlus Performance and 360°service we offer our customers. Located in Minneapolis, MN, we have delivered thousands of products to customers all of over the U.S. In the event there is a need for any industrial material commodity, it is comforting to know that there is someone who can analyze the situation and come up with a viable solution and quick lead time to fit my need whether it is for a safety item, solvents, pipe valves or fittings Allied Electrical gives me a resolution in a timely manner. All rights reservered © 2013 Allied Electrical & Industrial Supply Company, Inc.